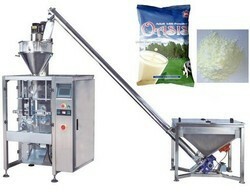 Manufacturer & Supplier of Pouch Packaging Machine. Our product range also comprises of Band Sealer Machine, Shrink Wrapping Machine and Sealer Machine. Being a quality-oriented organization, we are engaged in providing a wide array of Snacks Pouch Packaging Machine that can be used for packaging chips and confectionery item. Our offered packaging machine is developed by using premium quality components under the direction of our adroit professionals. This packaging machine is inspected on various quality parameters to ensure their excellence. 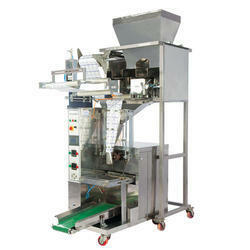 This packaging machine can be availed by our customers at market leading rates in a given time frame. With our vast industry experience and competent workforce, we manufacture and supply Pouch Packaging Machine. The packaging machine offered by us is developed using modern technology & top notch material in accordance with the set norms of industry. Our offered packaging machine is available in various specifications for meeting the demand of customers. 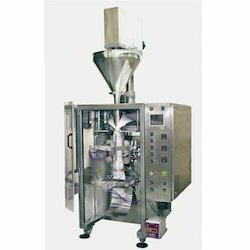 Also, we offer this packaging machine on numerous parameters so as to dispatch a defect-free range at clients' end. Product Application: Rice, Pulses, Tea, Coffee beans, Candies / Toffees, Tablets, Cashews, Potato / Banana wafers, Snack foods, Dried fruits, Pasta pieces, dry Spices, Sugar, etc. 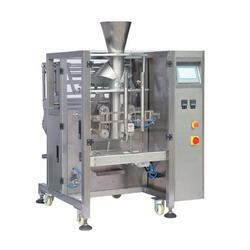 This machine is specially designed to LD Pouch Packaging Machine with a very high precision setting of quantity. We are involved in manufacturing and supplying of high-quality Tea Pouch Packaging Machine. As a quality-oriented organization, we are focused to provide our clients excellent quality Collar Type Pouch Packaging Machine.